Graeme Murty’s unbeaten record as the Ranger’s interim manager continued as the Gers breezed past Partick Thistle 3-0 at Ibrox yesterday. 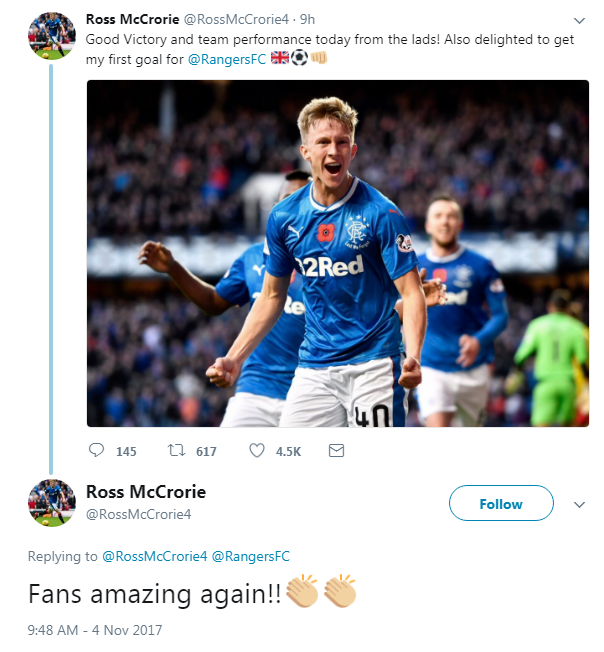 It was a memorable day for Ranger rookie Ross Mccrorie, who scored his first ever goal for the senior team. The 19-year-old defender brilliantly headed a Daniel Candeias cross to start the goalscoring for his side. Daniel Candeias and Josh Windass were among the other goalscorers to append a 3 goal cushion for the Rangers.